Summer is nearly upon us. And with summer comes vacation plans that include a few hours here and there for reading. Even if you aren’t heading out of town between June and September, a few hours on the beach every so often is the perfect time to read through some excellent business books. Over the course of the next two posts, we’ll provide you with a list of the year’s newest and most popular business books, titles which can inspire you and provide insight into how you can strengthen your business acumen. Hyatt is a business vet and a productivity guru whose new book is a great way to renew your vigor for the goals you set at the beginning of the year. What’s interesting about this particular tome is that Hyatt offers packages for individuals and businesses that serve as a multi-week course focused on the principles the book lays out. The hardcover version of the book goers for $15.13 on Amazon.com and has an average rating of 4.8 stars from more than 250 Amazon customer reviews. Daymond John, he of Shark Tank fame, was part of the founding team of FUBU, the international clothing brand made famous in the ‘90s. John took out a $100,000 mortgage on his home to launch the business. He split his home in half and used one part of it to live and the other part of it to produce clothing. John’s book is available on Amazon for $15.04 in hardcover. It gets an average of 4.5 stars from more than 400 reviews. Botelho and Powell gathered up data from thousands of CEOs and those aspiring to executive positions to compile a list of four common behaviors that make people succeed. Both women have the credentials and expertise to back up their observations, too. Botelho is a Wharton grad and Powell received her MBA from the Kellogg School of Management. This book is an excellent choice if you’re working from the bottom up or you’re in mid-management and want to find the edge you need to ascend. “The CEO Next Door” hardcover is available on Amazon for $16.30. It gets an average rating of 4.7 stars from 27 reviews at the time of publishing. 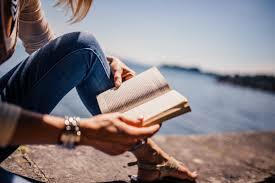 In our second post on the best business reads for the summer, we review three books that delve into personal experience or product development and mine some of the important principles that worked well for the authors or the products they researched. It’s important to keep in mind that these success narratives aren’t hard and fast rules from which you can’t waver; contextualize the principles into your own workplace situation.